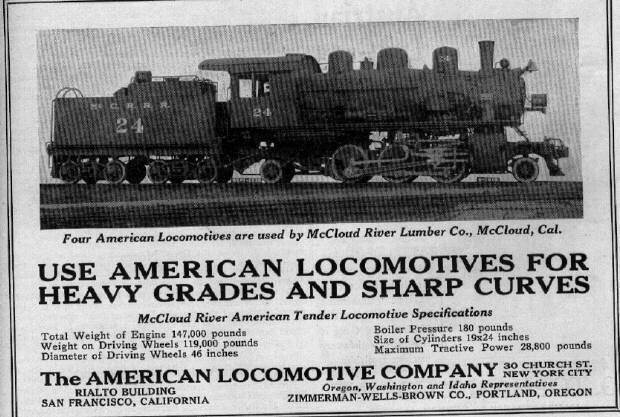 The #24 was featured in an American Locomotive Company advertisement in a timber industry trade publication. From the Glen Comstock collection. 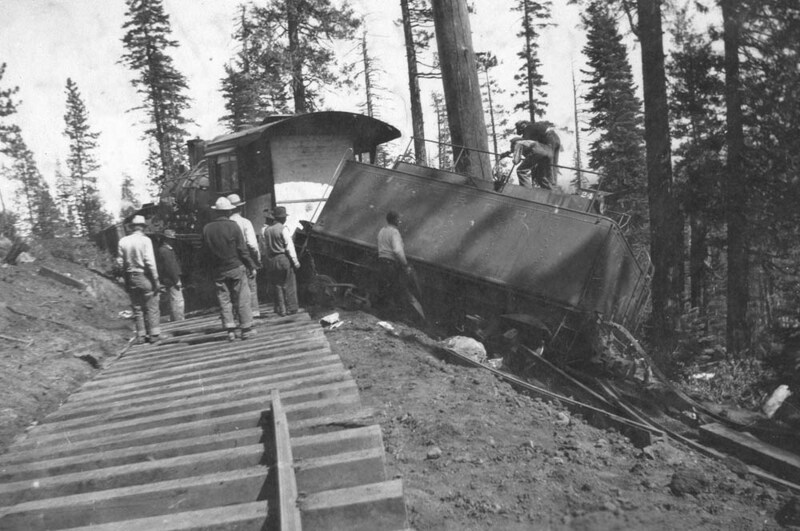 Photo appears to have been taken in the McCloud yards and it is from the George Landrock collection. This is a builders photograph of the #24. The #24 has run into some trouble in the mountains north of Bartle. Photo courtesy of Dennis Sullivan.